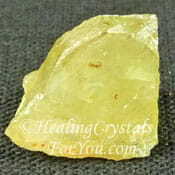 The Healing Crystals For You Blog is my mini journal about how to use crystals, and lets you know what the latest pages are to appear on Healing-Crystals-For-You.com. Use this page to stay abreast of all the new information on the site. 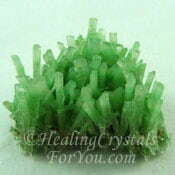 It keeps up-to-date with the latest articles and ideas from the Healing-Crystals-For-You.com website. You can bookmark this page and then remember to come back regularly to check what's been added, or you can use RSS. If you are new here and like what you see, you may want to subscribe to the Healing Crystals For You Blog (no email address is required). It's really easy and just takes a minute to do. Simply click on the small orange icon in the side column. Then copy and paste the URL into your RSS reader. Maybe you're not sure what RSS and blogging is all about? To find out more click here... What's an RSS feed?. It's easy, and you don't have to download any software if you don't want to. Once you start, you will be amazed at what RSS can do. Become Part Of The Blog! Simply tell your favorite crystal story by clicking here... and you will become part of the Healing Crystals For You blog. The blog shows the sites latest pages, so your story will become part of the blog. They become a permanent part of the site for others to read too. Have fun, join in and tell your story! 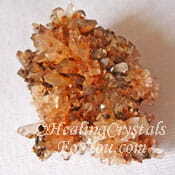 Aragonite Star Clusters heal you emotionally and spiritually and help you overcome stress and anxiety. 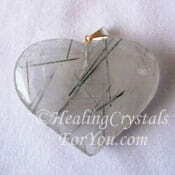 They help you to contact angels and other spiritual beings and aid earth healing. Continue reading "Aragonite Star Clusters Meaning & Use: Aka The Conservationists Stone"
Blue Hemimorphite aids channeling, mediumship and enhances communication. This powerful ascension stone adds light to your auric field, brings an increase in joy and improves your emotional state. 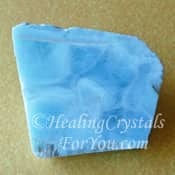 Continue reading "Blue Hemimorphite Meaning & Use: Aids Mediumship & Enhances Communication"
Darwin Glass is a high vibration glass based tektite that helps you to release fear. Aka Darwinite, it is a potent meditation stone that makes a deep heart based connection. Continue reading "Darwin Glass Meaning & Use: High Vibration Tektite That Relieves Fear"
Chalcopyrite links to mystical realms in meditation. 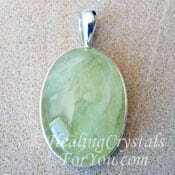 Helps you find lost things, increase happiness, joy & belief in yourself. 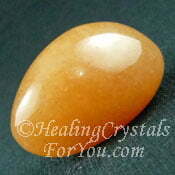 Like most gold stones is powerful to increase abundance and manifest money & is a good healing stone. Continue reading "Chalcopyrite Meaning & Use: A Mystical Stone That Connects You To Higher Realms"
Learn about connecting with Angels. 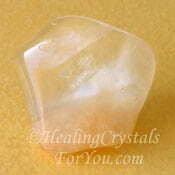 See list of specific crystals to use to elevate you to the Angelic realms, to meet Angels and ask for their help. These loving beings are there for every one of you. Do you wonder how to go about contacting them? Continue reading "Connecting With Angels: How To Use Crystals To Contact Angelic Realm"
Amethyst Crystals embody the power of Violet Flame energy. 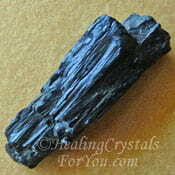 They have potent metaphysical properties for spiritual healing and promote restful sleep. 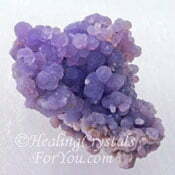 Use violet flame healing energy of St Germaine to heal yourself and others. Continue reading "Amethyst Crystals Meaning Use & Healing Properties Using Violet Flame"
Were You Born Under The Taurus Sign? The Taurus Astrological sign starts on April 21st. If you were born under this sign check out the list of Zodiac birthstones for Taurus, to help you to find the best Taurus birthstone to use to aid your life. Continue reading "Were You Born Under The Taurus Sign?" Boji Stone is a name given to concretion stones that come in pairs of one male Boji stone and one female stone, with strong grounding and healing metaphysical properties that balances male and female energies. Continue reading "Boji Stone Meaning & Use: Helps To Ground & Balance Male Female Energy"
Magnesite has potent metaphysical properties and its calming vibration aids creative visualization and imagination, and clear psychic visions. It creates amazing changes in your life. Continue reading "Magnesite Meaning & Use: For Deep Meditation & Creative Visualization"
Rainforest Jasper stimulates joy, happiness and increased self esteem. 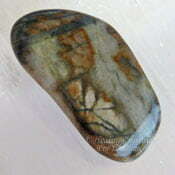 Aka Green Rhyolite, it aids deep earth healing and carries a strong vibration for change. Continue reading "Rainforest Jasper Meaning & Use: Aids Earth Healing & Brings Joy To Life"
Bloodstone aka Heliotrope is a March birthstone known to have magical and mystical powers. A beneficial healing stone that also assists you to regain personal power, build courage, strength of mind and confidence. Continue reading "Mystical Bloodstone Meaning & Use: Instils Courage, Comfort & Strength"
Axinite aids you to more easily make life changes. Strong spiritual grounding stones that stimulate your mind, improve your memory and aid meditation by stopping intrusive thoughts. Continue reading "Axinite Meaning & Use: Strong Grounding Boosts Strength & Endurance"
Learn how Golden Yellow Labradorite assists you to balance your masculine feminine energy and manage your personal power. It may also aid you to manifest money. Use in meditation to connect with angels. Continue reading "Golden Yellow Labradorite Meaning & Use: Manage Personal Power"
Muscovite stimulates the mind and brain and improves agility of thought and problem solving. 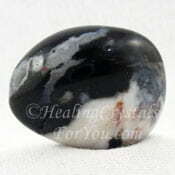 It aids dyspraxia symptoms such as clumsiness and left-right confusion and is a strong psychic protection stone. Continue reading "Muscovite Meaning & Use: Helps Side Effects of Psychic Awakening"
Pink Tourmaline has powerful metaphysical properties for healing stress as well as emotional or mood related problems. Aids spiritual healing. A birthstone for October, it brings love, joy and happiness into your life. 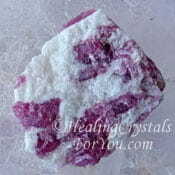 Continue reading "Pink Tourmaline Meaning & Use: Loving Energy Aids Emotional Healing"
Learn about White Azeztulite which is a high vibration quartz variety. It has a quite interesting vibration, that is said to be connecting those who use it to beings in other dimensions. 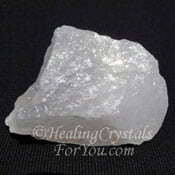 Continue reading "White Azeztulite® Meaning & Use: Use For Making Connections"
Tantalite enhances creativity, brings passion and excitement, and aids decision making. 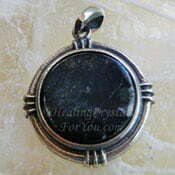 Strong psychic protection energy that blocks psychic attack. Helps with addictions and the effect of excessive radiation. 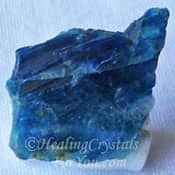 Continue reading "Tantalite Meaning & Use: Highly Protective, Boosts Decision Making"
Covellite develops intuition, helps find spirit guides, enhances lucid dreaming, helps you transform dreams into reality, stimulates psychic gifts such as clairvoyance. 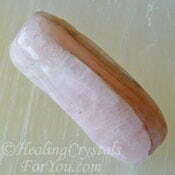 A healing stone for breast cancer, brings a positive outlook. May open a doorway to remember past lives. Continue reading "Covellite Meaning & Use: Doorway To Remembering Your Past Lives"
Continue reading "What Is Psychic Knowing? 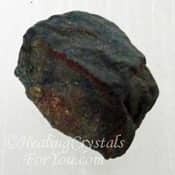 Direct Contact Between Your Mind And Spirit"
Merlinite stimulates deep intuition, psychic knowing, spiritual mediumship & clairvoyance, boosts creativity. Use for past life work, work with its energy of deep magic and good luck & dark night of the soul. Continue reading "Merlinite Meaning & Use: Magic & Good Luck or Dark Night of The Soul"
Blue Kyanite and the other colors of Kyanite quickly align the chakras. 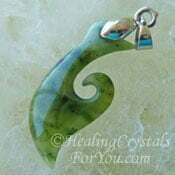 They resonate with high frequency energy making them great for meditation. They calm you and help you to go deeper into a restful and relaxing state. 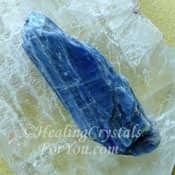 Continue reading "Blue Kyanite Meaning & Use: High Vibration Stone That Aligns & Clears Chakras"
Good vibrations within your etheric body will assist you to heal emotionally, physically, mentally and spiritually. 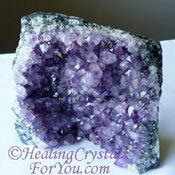 Using specific crystals will help you to change and improve your vibration. 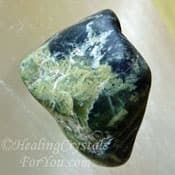 Continue reading "Use Crystals To Create Good Vibrations To Improve Health"
Maori Greenstone also called Pounamu stone has a magical and mystical energy that forms a protective shield to prevent psychic attack. 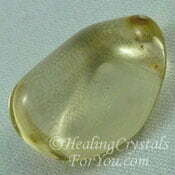 A strong healing stone that boosts energy, is anti aging and relieves stress. Aids contact with ancestors in spirit world. Continue reading "Maori Greenstone Meaning & Uses: Protective Magical Mystical Vibration"
Sacral chakra stones aid emotions, sensuality, sexuality, creativity, clairsentience, improved sexual feelings and healing relationships. See list of sacral or navel chakra stones. 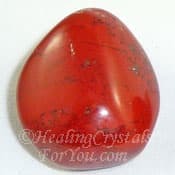 Continue reading "Sacral Chakra Stones Aid Creativity And Boost Clairsentient Gifts"
Aegirine stone assists those with electrical sensitivity to man made radiation. 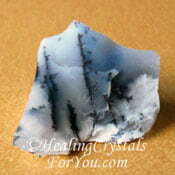 Potent psychic protection stones that prevent psychic attack. Aids stress and helps you to deal with addictions and more. 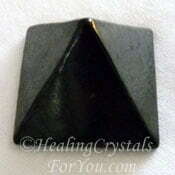 Continue reading "Aegirine Meaning & Use: Gives Protection From Psychic Attack"
Purpurite stimulates spiritual energies of clarity, compromise, insight, sharp focus & strong accord with others. 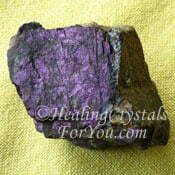 It assists violet ray energy healing, as it has violet flame metaphysical properties. 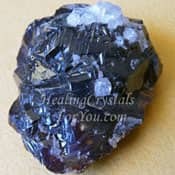 Continue reading "Purpurite Meaning & Uses: For Freedom & Focus - Aids Confident Speech"
Sphalerite aka Zinc Blende grounds your nervous system, prevents fatigue after meditation. Harmonizes male-female attributes, enhances creativity. 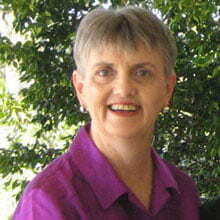 Helps you discern when a psychic reader is authentic. Continue reading "Sphalerite Use & Meaning: Potent Grounding Stone, Creates Harmony"
Mental Telepathy Meaning: How Can Crystals Help You Develop It? Mental telepathy aka thought transference concerns two people communicating without either verbal or visual communication. See the crystal list to help you to develop this gift. Continue reading "Mental Telepathy Meaning: How Can Crystals Help You Develop It?" Septaria strengthen group activities, improve communication & support public speaking. 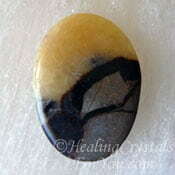 For privacy, keep Septarian stones on your body to dispel others personal interest in you. Strong earth energy. 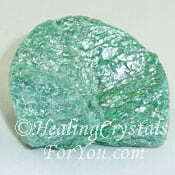 Continue reading "Septaria Meaning & Use: Enhance Privacy & Communication Ability"
Turquoise stones aid spiritual attunement, communication, boost psychic gifts of clairaudience and clairvoyance and aid past life healing. They have been used for healing for thousands of years. 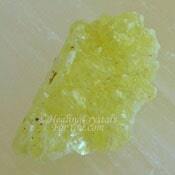 Continue reading "Turquoise Stones Meaning & Uses: Aid Truthful Communication"
Libyan Desert Glass embodies golden ray, highly spiritual energy, aids past life healing. 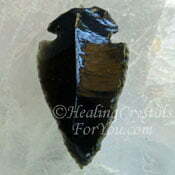 Aka Libyan Gold Tektite, aids manifestation guards against negative psychic energy. 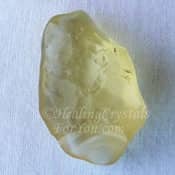 Continue reading "Libyan Desert Glass Meaning & Use: Highly Protective Mystical Energy"
Blue Euclase brings joy and happiness and stimulates coincidence and synchronicity. 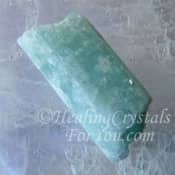 It enhances spoken and psychic communication and boosts intuition and is a strong healing stone. Continue reading "Blue Euclase Meaning & Uses: Enhances Communication & Intuition"
Sardonyx aids study as boosts self control and motivation. Improves relationships, brings feelings of happiness, confidence and optimism, mental discipline, focus, good grounding and protection stone. Continue reading "Sardonyx Meaning & Use: Boosts Optimism, Confidence & Mental Discipline"
Witches Finger Quartz aids tact and diplomacy. 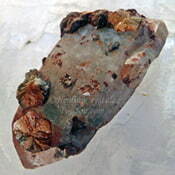 Aka Magdalena Stone Unique crystals with inclusions of many minerals. Their energy improves communication, aiding tactful & diplomatic speech. 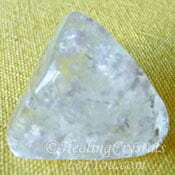 Use them in meditation to attract helpful spirit guides & teachers. Continue reading "Witches Finger Quartz Meaning & Uses: Helps Release Of Fear"
Throat chakra stones stimulate the area where communication ability emerges. See list of crystals that activate the throat area. 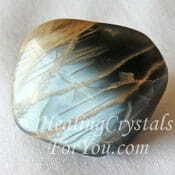 They aid hearing, psychic hearing, listening, speaking & truthful honest communication. Continue reading "Throat Chakra Stones Meaning & Use: Boost Communication Ability"
Petalite is a high crystal energy stone. It connects you to angels, destroys black magic & other unwelcome forces. 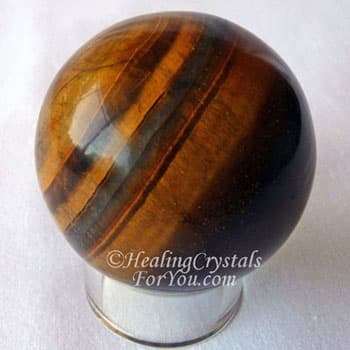 It has a pure sweet vibration that creates a deep connection to the spiritual realm. 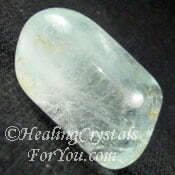 Continue reading "Petalite Meaning & Use: Connects To Angels, Protects From Negativity"
Blue Topaz stones aid spiritual communication, help writers block, inspire creativity and enhance public speaking. 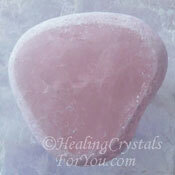 These strong psychic communication stones aid the expansion of many psychic powers. Continue reading "Blue Topaz Stones Meaning & Use: May Be Called The Writers Stone"
Clairsentience is the psychic power of sensing or feeling psychically or spiritually. Psychometry is touching an object & doing psychic reading. 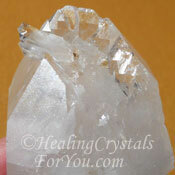 See list of crystals to boost clear feelings to use in your life. Continue reading "Learn Clairsentience And Psychometry For Psychic Communication"
Azurite stone activates the third eye & boosts psychic ability. Stimulates the mind in meditation & attunes it to spiritual guidance, gives insight, inner vision & helps you make spiritual connections. Continue reading "Azurite Stone Meaning & Use: Aids Third Eye Activation & Psychic Gifts"
Black Obsidian Stone aids spirit contact and the gift of prophecy. They cleanse and protect your aura from psychic negativity. 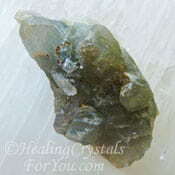 Strong grounding and psychic protection energy. Continue reading "Black Obsidian Stone Meaning & Use: Cleanses Aura Of Psychic Smog"
Continue reading "Picasso Marble Meaning & Use: Boosts Creativity & Artistic Gifts"
Healing Broken Bones And Inflammation - Can Crystals Help? Need help with healing broken bones or helping inflammation? Learn how crystals can assist you & checkout the list of stones to help fractured or broken bones to heal more quickly & see crystals to reduce inflammation. 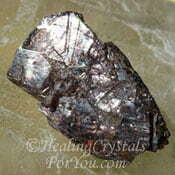 Continue reading "Healing Broken Bones And Inflammation - Can Crystals Help?" Brucite aids goal setting, helps you to plan new enterprises and assists decision making. Also has useful healing attributes including helping muscles and broken bones. 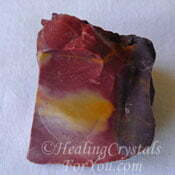 Continue reading "Brucite Meaning & Use: Aids Goal Setting & Decision Making"
Mookaite Jasper slows aging, helps you to change your beliefs about aging process. Keep Mook Jasper on you when traveling as it will alert you to danger. 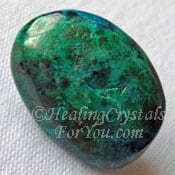 Good healing stone that aids decision making. Continue reading "Mookaite Jasper Meaning & Use: Slows Aging, Highly Protective"
Brazilianite embody ancient Atlantean energy & can uncover past lives in Atlantis. 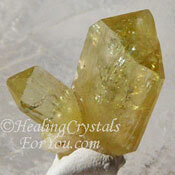 Meaning & Use: These golden crystals boost manifestation and creativity, using the will. They blend the energy of the heart and solar plexus chakras. Continue reading "Brazilianite Embodies Ancient Atlantean Energy Aids Manifestation"
Vesuvianite aka Idocrase enhances creativity and stimulates clairsentience. 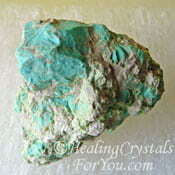 It aids spiritual growth as its properties help to free your will & embrace the desires of your higher self. Named after Mt Vesuvius volcano, it is commonly a green color. 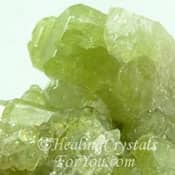 Continue reading "Vesuvianite Meaning & Use: Aids You To Follow Your Hearts Desire"
Amphibole Quartz also called Angel Phantom Quartz brings peace and tranquility, aids lucid dreaming. Use in meditation, make contact with angelic beings and your guardian angel in the higher realms. Continue reading "Use Amphibole Quartz For Making Contact With Angels"
Did you know that using the 7 Laws of attraction combined with specific crystals can help you to manifest a better life? Learn how these laws work to manifest an increase in wealth & happiness. Continue reading "Use The 7 Laws of Attraction With Crystals To Manifest"
Chrysocolla embodies loving Goddess energy, creates truthful loving communication. 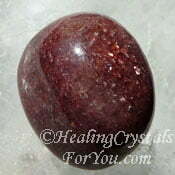 A teaching stone with an empowering energy that relieves stress, guilt and fear and brings emotional healing. 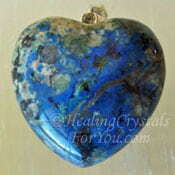 Continue reading "Chrysocolla Meaning & Use: Goddess Energy Aids Heartfelt Communication"